On Saturday, July 14th, I had the opportunity to attend a Ghanaian picnic at Fort Hunt Park. Many Ghanaian Catholics traveled from all around the Diocese (and some from even outside the Diocese) to attend this familial and festive gathering, sharing good food and fellowship. As soon as I arrived, I was greeted by warm smiles, and saw a Christ-like demeanor in them. There was cheerful music played, and many of the girls performed cultural dances, which gave me a small taste of the Ghanaian culture. Speaking of taste, you won’t starve with Ghanaians! There was plenty of delicious food being served, with a variety of Ghanaian cuisine. My favorite treat was their special fried donuts. They all made sure I had plenty to eat… and then wanted me to eat some more! One fun thing to see was a boys-verses-girls tug of war match. You would think with a couple of young men, the boys would have the win easily, but the girls pulled off some big wins, and there was an exciting spirit among both sides. I enjoyed my time at the park with Ghanaians, and it turned to be a beautiful afternoon of fellowship and camaraderie. Looking back at my visit and getting to know more about these African communities, I see that there is a real thirst for belonging, and the faith unifies them in a beautiful way. I am very grateful for the time spent with them, being able to witness their Christ-like joy, and to see how their family comes together in this beautiful way. One can witness their example on how a family bond exemplifies the bond of the Church. St. Therese Vocation Society of the Diocese of Arlington held their annual Morning of Reflection to which all were invited, on Saturday February 3, 2018, at St Luke Catholic Church in McLean, Virginia. About ten members of St Therese’s Society of the Ghana Catholic Community attended the program. The program started with a nine o’clock morning Mass celebrated by Fr. Anthony Pinizzotto of St. Luke’s parish of McLean, Virginia. Rev. Fr. Jaffe, Director of Vocations for the Diocese was also in attendance. After Mass, Fr. Jaffe welcomed the attendees, and thanked them for their prayers. A continental breakfast of assorted baked goods, fruits and drinks were served. The speaker of the conference, Fr. Anthony Pinizzotto, talked about the importance of prayer, and that prayer should take us out of ourselves in order to serve others. In his power point presentation, he suggested some ways of promoting vocations in our schools, parishes and in our communities. Some suggestions were talking to the young kids about vocations during Religious Education Classes and giving encouragement. Also praying for those who are already priests, letting them know that you are praying for them; writing to them, letting them know how you appreciate them bringing us the Sacraments to nourish us and sustain us. The conference ended with Holy Hour, but before the Holy Hour, St. Therese Society group from the Ghana Community of the Diocese prepared the attendees with songs of praise. St. Therese Society of the Ghana Community of Arlington Diocese is going to take action on two things in Fr. Pinizzotto’s presentation: to pray each day for the person listed on the calendar, including the spiritual director of our community, and for an increase in vocations to the priesthood and consecrated life. Secondly, the group is going to adopt a seminary in Ghana, and get the youth and children of the community to adopt a seminarian from that seminary and correspond with the seminarian. The group is going to fund the correspondence project. And women to respond to Your Son’s call to “Come, follow Me”. One highlight of Black Catholic History Month came during the Annual Day of Reflection and Unity Mass at Our Lady of Good Counsel Catholic Church in Vienna, Virginia on November 18, 2017. The Day of Reflection began with reflections on the experiences had by those who attended the National Black Catholic Congress XII. Next, Msgr. Ray East, Archdiocese of Washington gave the keynote address on missionary discipleship. Bishop Michael Burbidge, Diocese of Arlington, presented the Father Augustus Tolton and Mother Mary Lange award to this year’s recipient, Cecilia Braveboy. Prior to the Mass, there was a Praise and Worship session featuring Gospel hymns such as “Break Every Chain” by Will Reagan, and “I Give Myself Away” by William McDowell. Mass began at 5:00 p.m. and was celebrated by Bishop Roy E. Campbell, Jr, Auxiliary Bishop of the Archdiocese of Washington. Bishop Campbell was also the homilist. After the Mass a reception was held where everyone enjoyed great food and company. Take a look at the great pictures taken at the Day of Reflection! On Saturday, November 4, St. Jude Catholic Church in Fredericksburg held its 5th annual commemoration of Black Catholic History Month during the 5:00 pm vigil Mass. Deacon Al Anderson, of St Joseph Catholic Church-Alexandria, assisted the celebrant and St. Jude pastor, Father James Hudgins, and served as the homilist. Deacon Anderson gave a powerful homily carrying the message of humility from the readings and the gospel. The congregation was invited to a reception and Black Catholic History displays after the Mass. St. Jude Catholic Church holds this commemoration at the 5:00pm vigil Mass on the first Saturday of November each year. This past weekend, I attended the diocesan Ghanaian Mass located at Queen of Apostles in Alexandria, which is held every Sunday at 2:00 p.m. Just being present among the Ghana Catholic Community would put a smile on anyone’s face. “God loves a cheerful giver” (2 Cor. 9:7) and the Ghanaian Community is truly filled with cheerful givers. Their offertory collection was the most joyful collection I have ever witnessed. When it was time to present a sacrificial monetary offering, there was a jubilant procession overflowing with elated music of praise. This served as a nice reminder that when we give something to the Lord, it should be done with gladness and not out of sadness. For it is not about what one is losing; rather, it is about what one is giving to Almighty God, Who is the Giver of all gifts and blessings. I want to thank Father Anthony Appiah, the spiritual director and fellow Ghanaian of this vibrant community, for allowing me to partake in this Mass. Additionally, gratitude to Father Leopoldo Vives, DCJM and the faithful of Queen of Apostles for welcoming this vibrant community into their parish life. The Ghana Catholic Community has an upcoming festival on Saturday, July 30th, which all are welcome to attend. If you are able to come, it will certainly be worthwhile! Check in on our diocesan website for more information to come. Phyllis L. Johnson receives the first Father Augustus Tolton & Mother Mary Lange Service Award! This past November 2015, the Office of Multicultural Ministries partnered with the Black Catholic Ministries to hold an event entitled, Watering the Garden: Growing Vocations in the Black Catholic Family. Various speakers from across the U.S. came to speak at the event, including Bishop Joseph Perry of the Archdiocese of Chicago, Deacon A. Gerard Jordan, O. Praem., from Daylesford Abbey in Paoli, Pennsylvania, and Father Scott Woods, from the Archdiocese of Washington, and Sister Josita Colbert, Sisters of Notre Dame de Namur in Cincinnati, Ohio. All seven speakers came prepared to speak on a variety of topics relating to vocations within the Black Catholic Family, during this day-long conference. The day ended with our annual Unity Mass, celebrated by Bishop Perry, in which Catholics of African-American, Caribbean, and African descent gather to celebrate their unity in the Catholic faith. After Mass, we held a reception for all those who attended the Unity Mass. At the reception, we presented the Father Augustus Tolton & Mother Mary Lange Award to Mrs. Phyllis L. Johnson, the very first recipient of the award! While Phyllis was quite surprised, the onlookers were not. Phyllis received this award because of how she has excelled in service to not only the Black Catholic Community, but also to the Office of Multicultural Ministries. She is present at almost every event, and always comes with camera-in-hand, ready to take pictures and document the special moments that occur. She is constantly striving toward evangelization and discipleship and goes out of her way to help those in need. We were so thrilled to be able to present this award to such a deserving member of the Black Catholic Community. Congratulations, Phyllis! Not only did this award receive attention throughout the Diocese of Arlington, but it also received national attention, as well! The National Black Catholic Congress got news of this award, and shared the story in a ‘Spotlight Article.’ Click here to view the article. 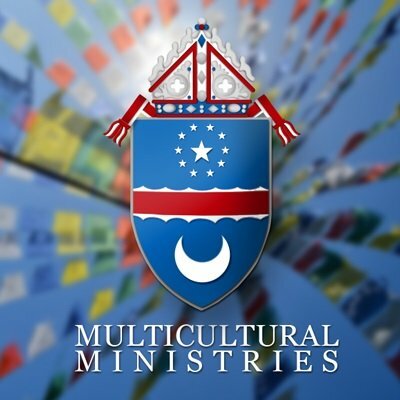 The Office of Multicultural Ministries plans on presenting the Father Augustus Tolton & Mother Mary Lange Award to a new recipient every year. This award is a great way to display our gratitude to those within the Black Catholic Community that consistently go above and beyond to not only help others within their community, but also at the Diocesan level. In the upcoming years, we will be asking those in the Black Catholic Community for nominations for this award. If you are interested in nominating someone to receive the Father Augustus Tolton & Mother Mary Lange Award, please click here to fill out the application. Did you miss Watering the Garden: Growing Vocations in the Black Catholic Family? Click here to hear Bishop Joseph Perry’s Keynote or to listen to any of the talks by our many speakers throughout the day. 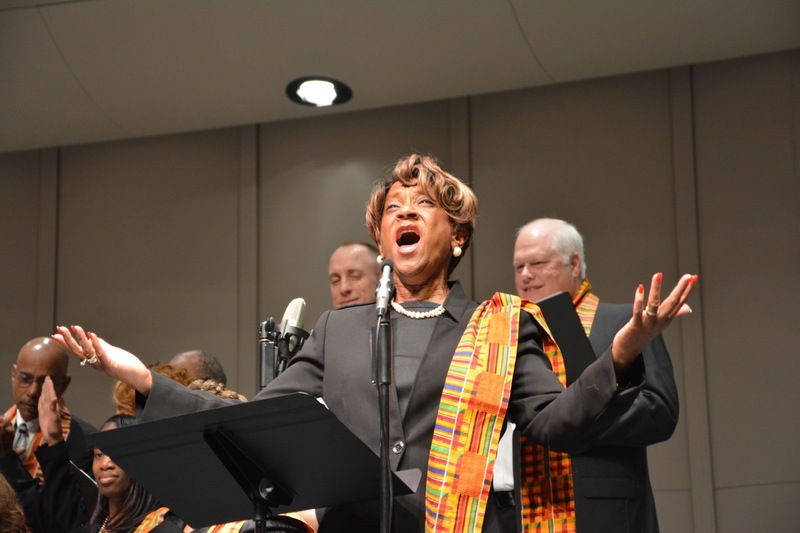 This past April, the Office of Multicultural Ministries held its first annual Multicultural Choral Concert! Hosted by Bishop Ireton High School in Alexandria, VA, the concert featured various choirs throughout our Diocese from all different cultures. The participating choirs were as follows: Filipino Serenata Choir from Our Lady of Good Counsel Parish, Ghana Catholic Community Choir from Queen of Apostles Parish, Heartsongs: Tam Tinh Ca, Hispanic Charismatic Choir from Good Shepherd Parish, Holy Martyrs of Vietnam Combined Choir, St. Joseph Gospel Choir, and St. Paul Chung Korean Choir. Each choir performed at least two songs, including the Finale song, Celtic Alleluia by Christopher Walker, which was sung collaboratively by all of the choirs. The entire concert was a beautiful event, showcasing just a few of the many ethnic cultures that are so prevalent in the Diocese of Arlington. The Bishop Ireton students were very involved with the concert, as well – students whose cultural diversity represented each of the performing choirs would introduce a choir before they took the stage. This was the first time our office directly collaborated with Bishop Ireton High School, and it was a major success! Bishop Ireton has already started to plan for the second annual Multicultural Choral Concert in their state-of-the-art auditorium for April 2016. We look forward to seeing you all there! To view some footage of this year’s Multicultural Choral Concert, watch the video below, filmed by Mr. Ed Jones of the Black Catholic Community.